Sunrise Door Solutions are successful installers of commercial locks that are utilized in a variety of institutions. 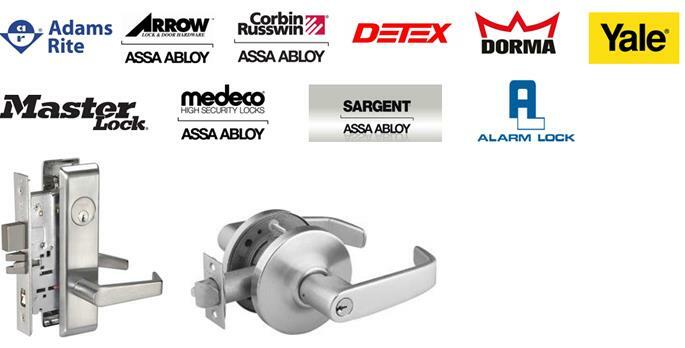 We offer cylindrical and mortise locks from top manufacturers that come in a number of different styles and can perform any desired function your application requires. Some functions include but are not limited to, entry function, store room function, privacy lock, classroom lock and passage function.